Molly Harmon has performed as a chorus member and soloist numerous times in the southern Maine area with the University of Southern Maine Chamber Singers, USM Chorale, ChoralArt, the St Mary Schola, Lincoln Festival Chorus and the Portland Symphony Orchestra. She has been the soprano soloist in Haydn’s Creation, Britten’s A Ceremony of Carols, Orff’s Carmina Burana, and Bernstein’s Chichester Psalms. She has also performed the role of Gretel in Humperdinck’s Hansel and Gretel with Paperbull Puppets and Sister Mathilde in The Dialogues of the Carmelites with the PSO. Molly also enjoys performing in musical theater, and has been in productions of Avenue Q as Kate Monster and Sweeney Todd as Pirelli at Lyric Music Theater. 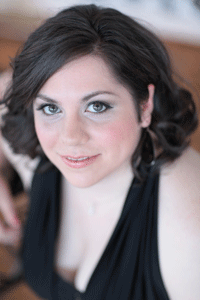 This fall she was the soprano soloist in Donald McCullough’s Holocaust Cantata with The ChoralArt, and also performed the role of Clorinda in Monteverdi’s epic scene Il combattimento di Tancredi e Clorinda with the St Mary Schola at the Portland Early Music Festival. She was a featured soloist at ChoralArt’s annual Christmas at the Cathedral concerts where she sang Rachmaninoff’s Vocalise.